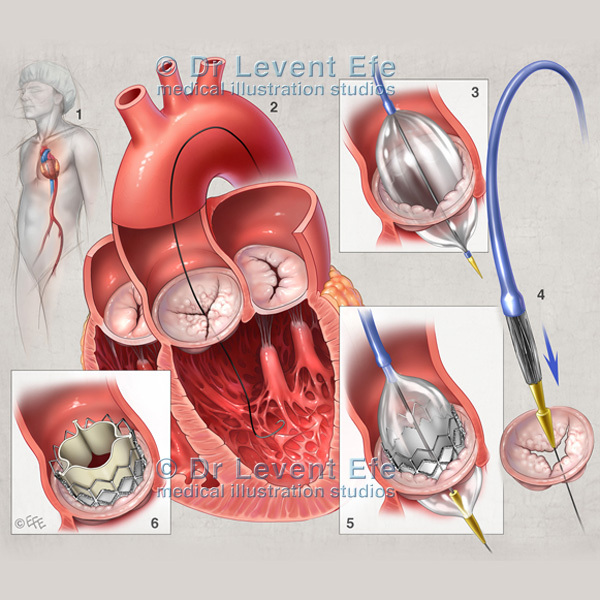 Transcatheter Aortic Valve Implantation procedure is used to treat severe Aortic Stenosis, a condition in which the aortic valve becomes narrowed, obstructing the outflow of blood from the heart. 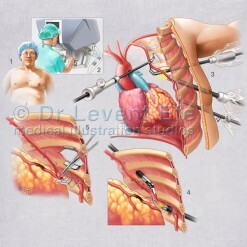 TAVI now offers effective treatment to patients who are at high risk for conventional open heart surgery. 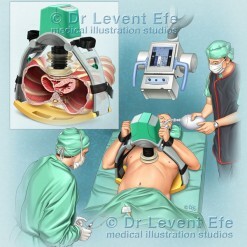 This anatomical illustration sequence is the perfect tool for narrating the TAVI procedure for prospective patients. SKU: CT02. 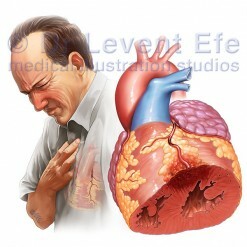 Category: Cardiothoracic (CT). 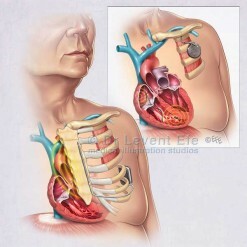 Tags: aorta, aorticValve, aorticValveRepair, calcifiedAorticValve, PercutaneousAorticValveReplacement, TAVI, transapical, TranscatheterAorticValveImplantation, TranscatheterAorticValveInsertion, transfemoral, transfermoralDeployment. Medical illustration depicting the transfemoral insertion and deployment of Transcatheter aortic valve, which is an alternative technique for open aortic valve replacement. 6. Artificial valve in position.